With the launch of iPhone X, Apple ditched the Home Button and replaced it with the Face ID. So in iPhone X, launching Control Center, exiting to Home Screen, Hard Reset, and the App Switcher is little different than the previous iPhone. iPhone X now has a gesture feature for all these things and there is something visible on the iPhone X’s Lock screen and Home Screen and that is HomeBar. HomeBar is actually indicating it’s functionality when unlocking the iPhone X or using any apps with the default black and white color with the actual size. Here we will talk about the customizing and resizing the HomeBar on iPhone X. You might be thinking how? Since Apple does not allow us for customizing and resizing the iPhone X Home Bar on iOS settings, it is possible only if your iPhone is jailbroken on iOS 11-11.4. If you have not Jailbreak your iPhone yet, here is how to Jailbreak iOS 11 – iOS 11.4 using Electra Jailbreak. If your device is already Jailbroken, you’re ready to go! Customizing the iPhone X HomeBar includes a lot like coloring HomeBar and resizing it in a beautiful and stylish way. So want to color your HomeBar and give it a sleek look? 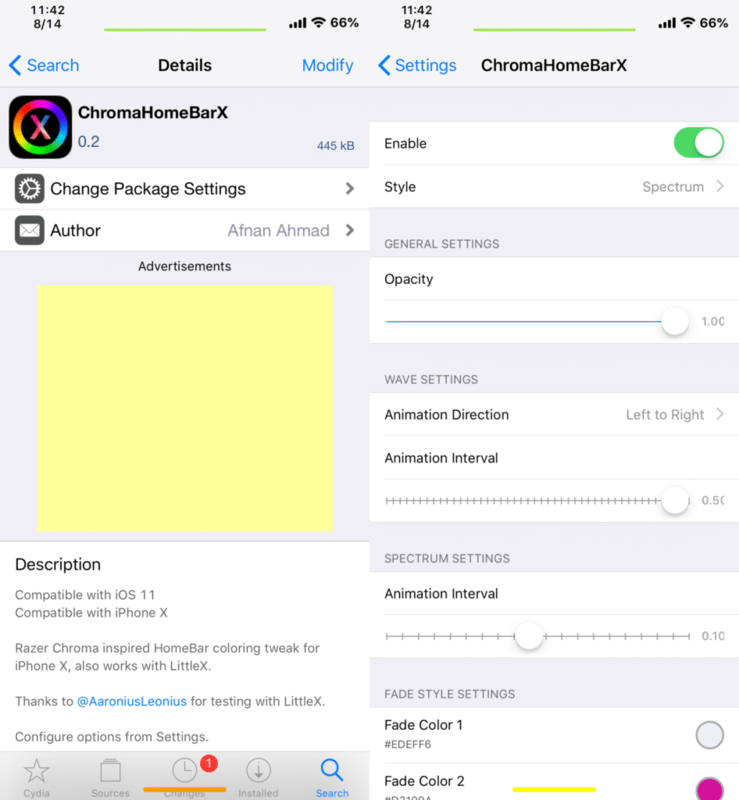 ChromaHomeBarX is a new jailbreak tweak that allows you to change the color of the HomeBar with a various animation style like a wave, spectrum, fade, breathing and static. ChromaHomeBarX is the best coloring tweak for HomeBar and is available in Cydia’s BigBoss Repo for free. After installing the tweak, you can have an option to configure in settings app from the tweak preferences where you can change the animation style of the HomeBar, it’s opacity, wave settings with the animation interval and color option for the various styles (Fade, Breathing & Static). For any changes, it requires a respring your device. ChromaHomeBarX tweak is compatible with iPhone X running iOS 11-11.4. 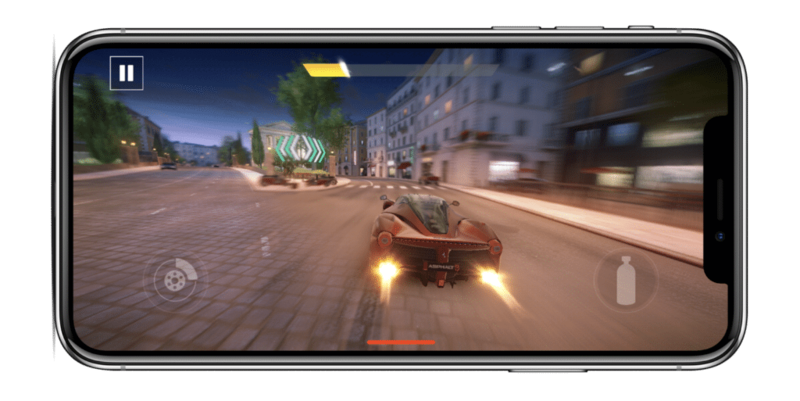 Description Razer Chroma inspired HomeBar coloring tweak for iPhone X, also works with LittleX. This tweak can be used only for coloring the HomeBar of iPhone X but we had talked earlier on resizing the HomeBar as well. So let’s begin and make the Homebar smaller or bigger as you like. Many of us might hate the length of the iPhone X’s HomeBar so I have made the HomeBar small that looks fantastic with the jailbreak tweak called HomeBarSizer. 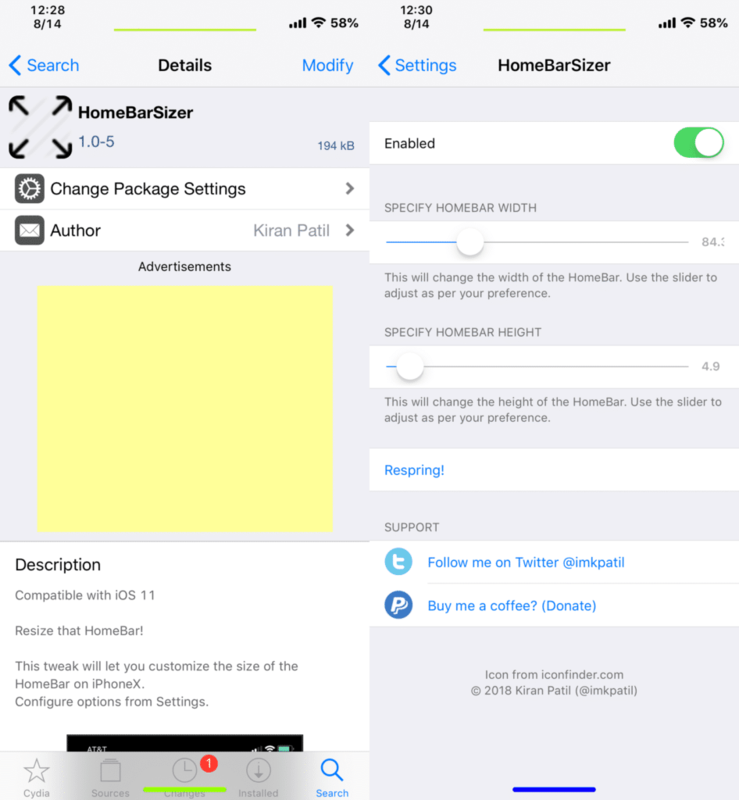 HomeBarSizer is a free jailbreak tweak compatible with iOS 11-11.4 that lets you customize the size of the HomeBar’s Width & Height on iPhone X and is available in BigBoss repo. After installing, you can configure the HomeBarSizer tweak from the tweak preferences in the settings app where you can resize the width and height of the HomeBar by adjusting the slider. For any changes, it requires a respring your device. Combining these two tweaks makes your iPhone X HomeBar very beautiful. You will love this and definitely worth to download.